A vengeful city, doomed astronauts, wicked children and wife-stealing robots are a few subjects covered in Ray Bradbury’s short story collection The Illustrated Man. Originally published in 1951, The Illustrated Man contains 18 short stories that run the gamut of science fiction, fantasy and horror. All the stories are loosely connected by a prologue and epilogue containing the eponymous Illustrated Man whose body is covered in moving tattoos that tell different stories. My favorite of the stories is The City which tells the tale of astronauts from Earth who arrive at an abandoned city in a far off planet. The city, through some imaginative descriptions by Bradbury, is revealed to be alive and seeks vengeance for its now dead creators; the most violent and darkest story of the collection by far. Not far behind The City are Kaleidoscope and The Long Rain, both of which also feature astronauts attempting to maintain their sanity in the most torturous types of environment. In Kaleidoscope, astronauts ponder their lives after a malfunction on their ship sends them falling into outer space with the narrator’s life coming to an end over a familiar planet much to the excitement of a small child. The Long Rain is just that for a group of astronauts who find themselves constantly overwhelmed with rain as they seek salvation in an artificial shelter known as the sun dome. The premise doesn’t sound that appealing, but just reading what the rain has not only done to the men physically, but the planet as well, you’ll be thanking the roof above your head when the next rain storm comes. The collection also has stories about children who don’t have the best intentions for their parents, in The Veldt and Zero Hour, as well as a tale of a robot who becomes a problem after its owner discovers the robot’s new infatuation in Marionettes, Inc.
Not all of the tales involve dark ends with some touching upon race relations and religious figures. In The Other Foot, a confrontation between two groups is all but likely on Mars until morality comes into play, and in The Man, space explorers’ search for a religious persona leads to a hopeful ending…at least for one person. 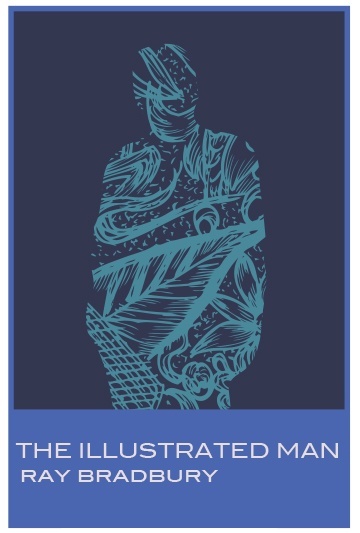 I enjoyed The Illustrated Man and would recommend it with its various science fiction subjects which also sometimes touches upon the social issues of the time. I enjoyed the majority of the stories, with just a few that I couldn’t really get into, like The Exiles and The Concrete Mixer. Bradbury is an author I haven’t read a lot of, but with this collection I’m interested in more of his works, especially the short story collections he has to offer.